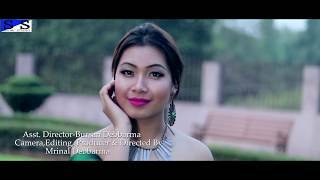 Description: Nini Khorang Romantic official Video Song. Film-Yapri( a kokborok Tiprasa Film. Present by Shine Studio Production & Shyam Sundar Co. Jewellers. Producer- Mrinal Debbarma. Co-Producer-Sanjit Jamatia. Cast-Manoj Debbarma & Fida Debbarma. Asst. Director & Asst. Camera & Light-Bursan Debbarma. Camera,editing & Directed By-Mrinal Debbarma. Music-Nihar & Phaiswkang Jamatia. Singer-Bisu Kr. Debbarma & Jiniya Jamatia. Lyric-Bisu Kr. Debbarma. Song Recording-Sound Slave Studio. IPFT no yakarwi bubagra ni yak rom phaikha IPFT ni vice President Ananta Debbarma. New Song Released 2019 || Kosonsi Tengneji || Ser || Please check inthe description.